It seems I've spoken a lot recently with others about what life is like on the other side of the world. I've now lived on 3 different continents, and not just for a few weeks at a time like a lot of travellers, but on a permanent basis. This means I've had to adjust the way I do almost every single daily activity, as well as learn a new language and many other differences. Because I've chosen to have a positive attitude and outlook about it, I think that it's worked better for me... I hope I can help others too, so here are a few tips that I think might be helpful for you. · Learn the language. At least try. 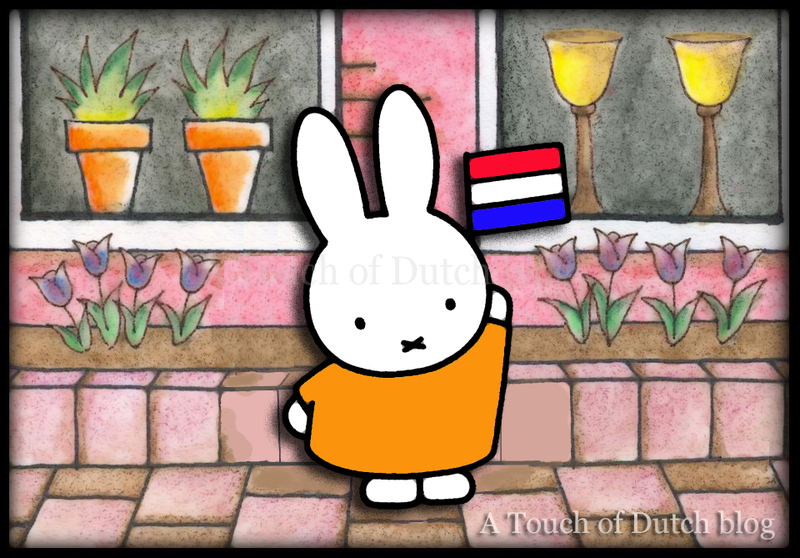 I immersed myself completely in learning Dutch, and basically without choice - At first I lived in the Netherlands with my former mother-in-law for 1½ years and she could not speak English, so I had to learn as much as I could daily. It helped! Her patience and understanding also helped me a great deal. She took me shopping and showed me how things are done. I remember I needed to change the bedding one day but didn't know what they called duvet covers or pillowcases in Dutch, so I had to first sit down on my bed with my Dutch-English dictionary and form a sentence, practicing it before asking. I remember it was very basic and went “Waar zijn de dekbedovertrekken en de kussenslopen?” [Where are the duvet covers and the pillowcases?] Within two years, I could understand Dutch well enough to suffice, but I continued learning until I could speak it nearly fluently. I look back now and am so very grateful that I did, and I wouldn't have done it any other way. · Stay positive! Surrounding yourself with things and others who are going to bring you down or not help encourage you when you need it [e.g. chances are you will feel homesick at some point], this is not going to help you in the long run. Look — It's OK to vent frustrations, but it's not going to be helpful to be negative about those issues every single day. It's not worth it to sacrifice your happiness, so try to engulf yourself in positive activity and hang around people who are succeeding in their adaptation to the new culture. · You are the one who is different. Try to remember that you are the one who came to their country, where they have their own culture, and they are not going to change the way that they do things to convenience you or your habits. · Practice within your own home what you want, when you want — Whatever makes you happy. Cook your favorite meals, enjoy quiet time your way, celebrate with your family and friends the way you want or would have in your native land. · When in Rome... In Amsterdam, Utrecht, Arnhem, Groningen, Eindhoven or wherever you are in the Netherlands — Do as the Dutch do! Learn about the new culture around you. You don't have to do it 24/7, but do try at least to incorporate their culture into your own. Understanding why the people who you live around behave a certain way will not only help you to feel more settled in, but it will also help you to understand why they are doing what they are doing. You don't necessarily have to do all of what they're doing as well, but at least you'll understand better why they might be treating you differently or not including you in their circle [most Dutch social circles are long-standing and tight-knit, and it might take time for them to include you]. The biggest mistake I made: I didn't leave the sheers on my front windows open during the day, on through the evening hours, so my neighbors couldn't see into my home. I didn't want for my neighbors to see in — Why should I, I thought? It's none of their business what I am doing... Also I had one neighbor who seemed extremely nosy, and I didn't want to give him an excuse to be able to look into my home to see what I was up to at any given moment. He creeped me out. But you see, many Dutch have a “Puritan”-value instilled in them from birth... Call it being nosy or whatever, but if the drapes are closed during the day then it means there must be something suspicious going on inside. Looking through a window and seeing that the neighbor has nothing to hide seems to give them some sense of ease, and this is why you will see so many Dutch windows with their drapes wide open a majority of the time. Because I kept my sheers closed during the day, to let in light but to keep my privacy, this drove my neighbor(s) absolutely crazy! · Get out more. Do not just sit there at home daily and mope, all alone. Go for a walk or ride your bicycle to a new area nearby and learn your neighborhood. Visit a park and find a cool place to go for a picnic on a sunny day. Take the train to a different town for your shopping. Get to know the shops near you. Have lunch once a week on a weekly basis at a local café. Join an expat club. Invite your neighbors over for coffee or tea [the Dutch love this!]. Go visit a new friend. If you're not already working, get yourself a job, even if it's part-time or volunteer work [Dutch: vrijwilligerswerk]. Sign up with an “uitzendbureau” [employment agency] like Randstad for temporary or casual work. Start your own business. Pick up a new hobby or delve deeply into one of your favorites — Like photography or cooking? Get into it more. Join a class to further your hobby or join a club — And you might even meet others who you can connect well with in those classes or clubs. Plan a vacation to a different place, even if it's just a weekend getaway, or plan a weekly excursion. Mine was shopping in Germany — I loved that! It was always such a nice change of pace. · Connect with other expats. I think this one is pretty important. You will cross others who are in the same boat as you in so many areas too, so it's difficult to avoid: language school, work, and Dutch friends will likely introduce you to their expat friends as well. If you aren't able to get out often enough, connect online via forums and groups like Expatica. Be aware that some groups are not always monitored online, so like I said before avoid the negativity [rise above it]. · Stay in touch! 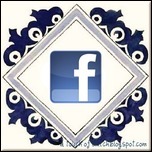 Facebook is one good way to keep in touch with people on the other side of the world who you care about. This also helps those who you've moved away from keep up-to-date on the latest going on in your life. It's a fast and easy way to share. Now I am living in Australia and find myself pretty much at ease in almost every area of life, compared to how it was when I lived in the Netherlands. Australians, whether they like to hear it or not, are a lot like Americans and Canadians, so it's been easier for me [and I can speak English]. They have some areas that are difficult to understand at first, like the Tall Poppy Syndrome, but I got a major taste of this already when I lived in the Netherlands where folks are direct and tend to not boast about their achievements. Australians also like to “take the piss out of” others, so they joke about someone in an almost cruel way — Which is again a lot like how the Dutch use directness to drive their point home with others [I often felt the Dutch were using directness as an excuse to be rude, similar to how I feel that Australians use “taking the piss out of” someone as an excuse to be rude. If you'd like to keep up on what all I'm learning about in Australia, I've been keeping a separate blog online here — Check it out! · Dutch customs and etiquette. · Connect with other expats. · Tips for those moving to the Netherlands. · Dealing with culture shock. · Search the Netherlands for volunteer work. The Netherlands is a small country with a fantastic public transports system, so it's very easy to go out and enjoy it, as well to visit the neighbor countries. I also noticed that people do appreciate if we are doing our best to learn the language. Hello, thank you very much for this useful post. Your tips are very helpful, and I try to follow them every day! Keep up the good work! @ Invader_Stu: I give you kudos for at least giving it a try ;-) I remember how easy it was to not practice. For example, my former partner felt awkward speaking Dutch to me, as I did with him, but I'd always ask him questions about the language. If I wrote something in Dutch, I'd have him proofread it, and that was handy. Do you speak Dutch at home with your wife, or do you both opt for English most of the time? Thanks for your comment! It's likely the same interesting site I bumped in. Prost! Great tips for expat! Surely this info will help us. Thanks. Great informative blog! I just bookmark your blog for more explore. And for a great list of blogs written by other expats in NL, click here. All about Dutch food here. After half a decade living in the Netherlands, I decided to begin this blog of my experiences for friends, family and others who share similar experiences, those who are curious, or those who are about to explore life/living as an 'expat' in the Netherlands. All comments posted to me have been and will always be subject to moderation. · Commercial use of my personal work on this blog is forbidden without prior written permission. · You're allowed to make links to any page(s) on this blog on your own site, but it doesn't mean I stand for or am completely in agreement with what you are linking me to/your opinion. · I'm not responsible for or always completely in agreement with the opinions of others in the comments or what they discuss on their blog. · Commercieel gebruik van mijn persoonlijke creativiteit op dit blog is niet geoorloofd, zonder mijn voorafgaande geschreven goedkeuring. · Het is een ieder vrij om pagina's van dit blog linken op zijn of haar website. Maar dit wil niet zeggen dat ik het eens ben met je standpunten of overtuigingen van je blog waar ik naar gelinkt ben/jouw mening. · Ik ben niet verantwoordelijk voor of altijd eens met de meningen van andere mensen in de berichtjes of wat ze discussiëren op hun eigen blog. You can read further about copyright information here. Leave me a comment on a blog post. Please leave comments in Dutch or English only. Thank you! Laat me maar een berichtje achter bij een blogpost. Alleen Nederlands of Engels alstublieft. Dank u wel! 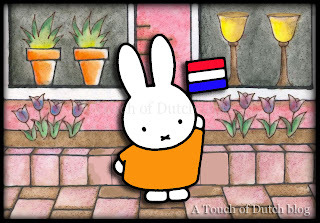 © atouchofdutch.blogspot.com. Powered by Blogger.